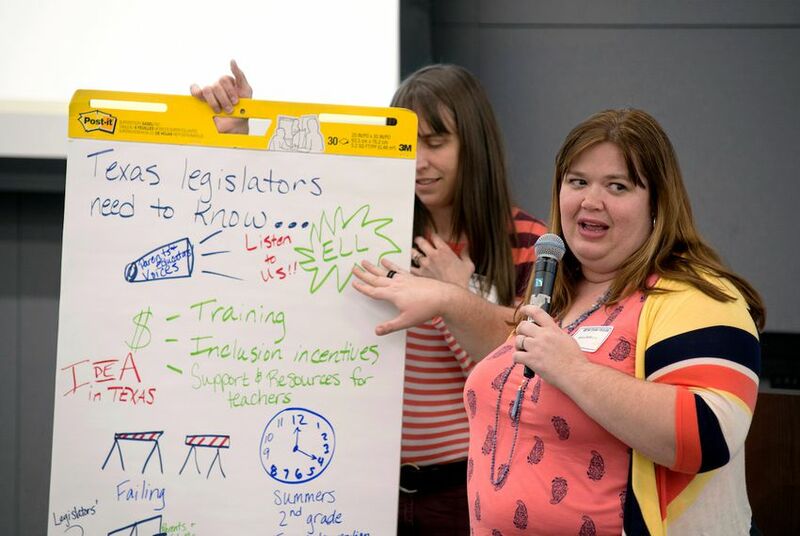 Last month, The Texas Tribune asked parents and educators what they think lawmakers should do before the Legislature adjourns. Here’s what they said. As most Texans know, the state Legislature meets during every odd calendar year for 140 days. Arguably one of the most hot-button issues so far this session? Special education. A recent Houston Chronicle investigation found that Texas districts have been denying students special education services under an arbitrary state benchmark, allowing just 8.5 percent of students access to those services. The Texas Education Agency has repeatedly denied allegations that it deliberately capped services. Since then, lawmakers, parents and advocates have been keeping a close eye on potential reforms in the state Legislature. 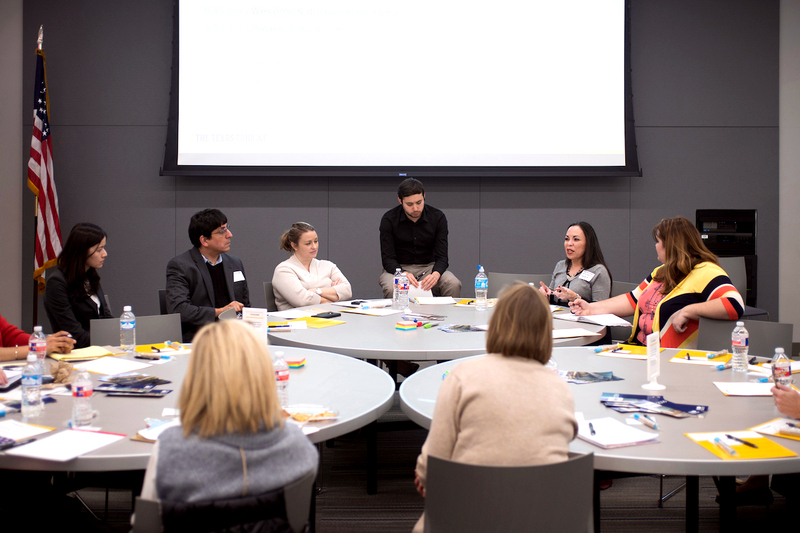 Last month, The Texas Tribune held a roundtable discussion with roughly 30 Texas parents and advocates from across the state — many of whom have children in special education — to find out what they think lawmakers should do before the Legislature adjourns in May. Here are four things Texas parents and advocates said they want their elected officials to know. Parents said they also worried that “hot-button” legislation was putting special ed on the back burner. Many said they wanted more resources to help public schools, such as more on-site visits from TEA officials and more money to fund special ed programs. There were also concerns with issues not gaining traction in the Legislature, such as the disproportionately high rates of black students in special education or the lack of services for English-language learners. Unfortunately, those who don’t live close to the state’s Capitol say it’s hard to get these points across. “We can’t always go to them, especially if we don’t live in Austin. That’s just not a realistic expectation for many of us parents,” said Kara DeRocha, a mother from Houston. “When we get the chance to talk just know it doesn’t happen often, so please listen to us,” she said. The Individuals with Disabilities Education Act, or IDEA, is a federal law meant to ensure there are educational services for eligible students with disabilities, according to its website. However, some parents expressed concern over what they called the “restrictive” regulations for eligibility to receive services under IDEA in Texas. Under the federal law, children are only eligible if they’re found to have one of the 13 kinds of disabilities IDEA covers. But it leaves room for states to change the requirements to align with the needs of their school systems. In Texas, for example, several diagnosticians reported being urged not to diagnose students with learning disabilities until the second grade, the Houston Chronicle reported. Under the federal law, however, children are eligible for IDEA from infancy through high school graduation or until they turn 21 (whichever comes first). “There’s this idea of ‘you need to fail,’” DeRocha added. Texas parents and advocates put it simply: They feel like small fish in a big pond when it comes to pushing back against the Legislature. Jana McKelvey, a mother from Austin and organizer with Texans for Special Education Reform, said children in special education are given the “minimum.” But when parents try to fight for more, she said, they’re up against entities that often have more money and access to lawmakers. There are an estimated 500,000 students across Texas identified as having a mental illness. However, the state employs only 20,000 special education teachers to serve its school districts, according to research from Concordia University. Texas was one of 48 states that reported a shortage of qualified special ed teachers. Advocates say improving the quality of special education starts with training more teachers and administrators to educate students with disabilities in general education classrooms. Districts with more special education students are supposed to receive more federal funding when they identify more students for special education services. Texas has seen more students with disabilities request services each year. However, that funding won’t get to Texas schools for at least another year, Christine Broughal, an Austin-based special education attorney at Enabled Advocacy, told the Tribune in January. During the Tribune’s forum, Mellon recommended allocating more of the budget to state public education so teachers can get the resources they need in order to help their students succeed. Mellon also encouraged folks to work on eliminating any stigma associated with teaching as a career. “To get quality schools, you should vote, elevate the reputation of teachers and teaching as a career,” Mellon said. On March 2, nearly 30 people gathered at the University of Houston-Downtown for The Texas Tribune’s parent and educator forum, What’s Next for Texas Public Education? This story includes highlights from that discussion. To be notified of future roundtable events, sign up for Texas Tribune events emails here. As we examine school choice proposals before the Legislature, The Texas Tribune wants to hear directly from families who would be affected by changing state and national policies. Share your story. U.S. Department of Education and Texas Education Agency officials hit five Texas cities to ask the public about their experience with special education, part of an ongoing investigation of the state's services. Correction: A previous version of this story gave an incorrect number of days that the Legislature meets.